Architecture/Landscape/Interiors is pleased to announce that Architecture/Landscape/Interiors junior Raymond Tran’s team won 1st-Place/$10,000.00 in the SoCal IIDA’s 2015 Student Design Charette! 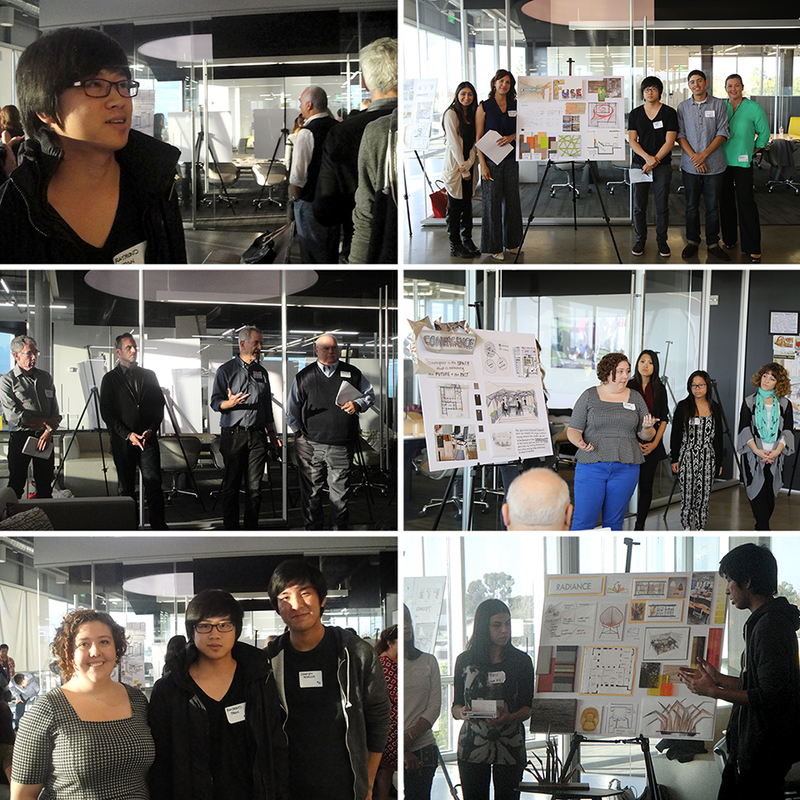 The Southern California Chapter of the International Interior Design Association (IIDA), hosted its 2015 Student Design Charette at Tangram Interiors on Saturday, November 15, 2014. Thirty-five students collaborated within seven teams of five students each (from different schools). First and second-place winning entries/teams were selected to receive, and share, prizes of $10,000.00 and $4000.00, respectively. Raymond’s first-place winning team will be recognized and receive their check at the Calibre Awards Gala on May 1, 2015 and will be representing the IIDA SoCal Chapter at the first IIDA West Coast Regional Design Charette which will be held in Orange County on April 11, 2015. The IIDA West Coast Regional Charette team winners will be representing the West Coast region at the National IIDA Student Design Charette on June 16, 2015 at NeoCon, Chicago, Illinois. Architecture/Landscape/Interiors junior Darien Noguchi and senior Izzy Savage also participated. Darien and Izzy, as well as Raymond, held leadership roles and presented their team’s design to the jury. Congratulations Raymond, Darien and Izzy on your outstanding participation and leadership in the IIDA Student Charette 2014!